This will replace the 1995 data protection directive in the UK. This legislation is designed to harmonise data privacy laws across Europe and improve protection and rights to individuals. What do businesses need to do differently? There are new elements and significant improvements to the old legislation so you will have to do some new things, and in some cases change the way you are accustomed to doing other things. What is classed as ‘consent’ under the GDPR guidelines? You may have recently received emails from Humphreys Signs asking you to confirm that you are happy for us to retain / keep certain data in order to process orders and enquiries.The reason for this is that, under GDPR, consent must be an active, affirmative action – not the passive acceptance that has preceded it. In order to operate as a business, and to provide services for our customers it is necessary to store certain information. 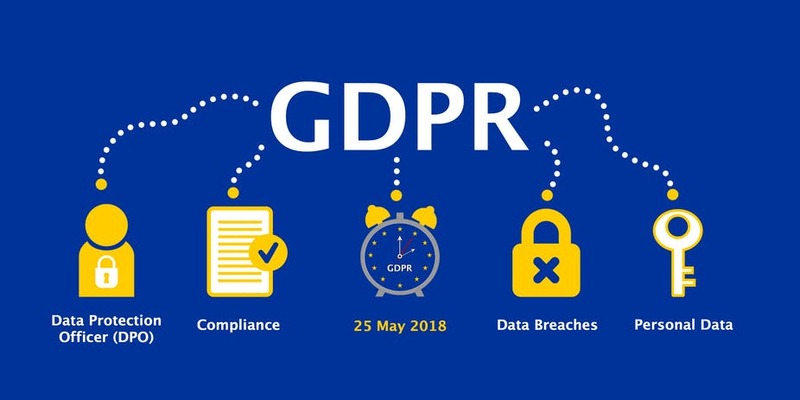 This information will be stored securely offline, and will be limited to only the absolute necessity in order to carry out business transactions, and / or support.As a result, we are contacting all of our existing customers to provide them with an update on how we hold any personal data we collect as a result of our business activities. We would ask that you read the below paragraphs carefully. We will keep your data secure and only store it for as long as necessary and only for the purposes of our business activities. Once personal data is no longer needed, we will destroy it securely. In the UK, the Information Commissioner’s Office (ICO) would be able to levy fines of up to £17m (€20m) or four per cent of global turnover. These penalties are significantly higher than the £500,000 charges the ICO is currently able to dole out.